Victor Laird serves as Vice President of Client Management at Power Grid Engineering and is responsible for fostering strong partnerships focused on client success. He has over 20 years of experience in the power industry with emphasis on client relations, substation design commissioning, NERC reliability as well as safety and human performance principles. 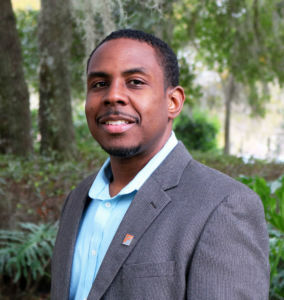 Victor earned his bachelor’s degree in Electrical Engineering from Florida A&M University. In his collegiate years, he received a full academic scholarship from NASA and had the opportunity to work at the Kennedy Space Center later graduating as a NASA Scholar. Finding his passion in the power sector, he started his career working as a Field Engineer with Florida Power & Light (FPL). During his tenure at FPL, Victor served as a Lead P&C Engineer, NERC Reliability System Operator/Coordinator and Load Dispatch Supervisor. Later in his career, Victor followed his passion for God and his desire to be an entrepreneur and started working in the ministry while also establishing a business. As a family man, Victor has been thankfully married to his beautiful wife Hope since 2002, and is the proud father of his four children, Naomi, Jada, Luke and Sarah. A scripture that describes Victor’s life is Colossians 3:23,24.